Online food delivery company Takeaway.com NV has signed an agreement to acquire 10bis.co.il Ltd., a Tel Aviv-based online food marketplace, the company announced Saturday. Takeaway.com will pay around 135 million euros ($157.5 million) in cash for 10bis. Takeaway stated it will take out a 150 million euros bridge loan to finance the deal. The acquisition is subject to the approval of a general meeting of Takeaway.com’s shareholders. The company stated the deal is expected to close in the second half of 2018. Founded in 2000, Amsterdam-listed Takeaway.com offers an on-demand online food delivery service from local restaurants, with 11.5 million European consumers. Tel Aviv-based 10bis and provides a similar service in Israel but its primary service is a payment system which allows companies to pay for employee lunches, which serves thousands of companies in the country, according to a statement. In 2017, 10bis’ delivery service processed 15.2 million orders of over 140 million euros resulting, the statement said. A talent crunch in Israel’s tech industry has companies courting potential employees with various perks, including generous lunch budgets and meal plans. 10bis serves thousands of companies in the country, including eBay, Mobileye, and Amdocs. 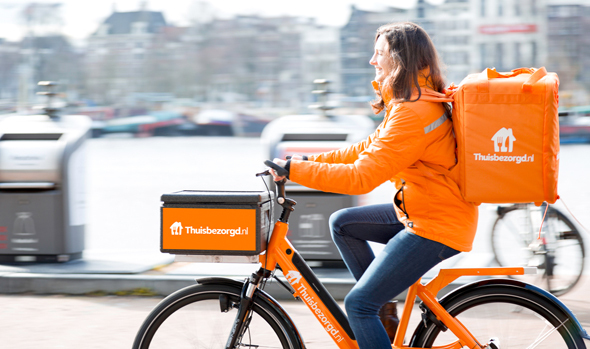 In 2017, the company’s delivery service processed 15.2 million orders of over 140 million euros resulting, according to the company’s statement. Local competition for 10bis includes Cibus Business Meals Ltd., Goodi Dining Solutions Ltd., and PaidIt Digital Payment Solutions Ltd.
“With this transformative deal, we will be able to add a B2B offering to our already highly compelling B2C and Scoober proposition throughout all our markets,” said in a statement Joerg Gerbig, chief operating officer of Takeaway.com.